Crows Nest Cottage is a traditional fisherman's cottage which provides comfortable holiday accommodation with two interconnecting bedrooms. 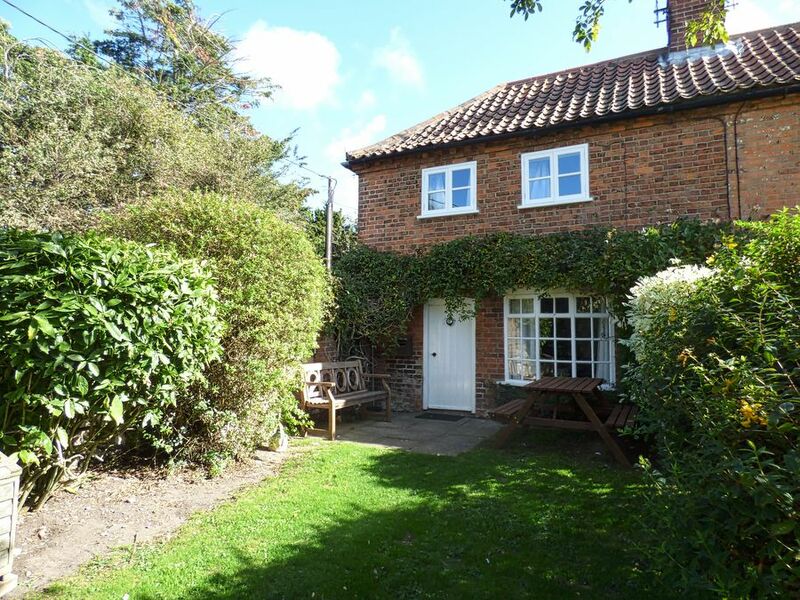 It has an enclosed garden with off road parking and is only 2 minutes walk away from the harbour at Burnham Overy Staithe and the coastal path to the beautiful sandy beach. There is an excellent pub within walking distance and a great selection of shops and restaurants in Burnham Market, which is only 2 miles away. Kitchen: Well-equipped with built-in electric oven, halogen hob, dishwasher, washing machine, microwave and fridge/freezer. Sitting Room: Wood-burning stove, sofa and 2 chairs, TV, dining table with 4 chairs. Door leading to steep stairs (not suitable for young children or the infirm). Bathroom: Electric shower over bath, hand basin and WC. Steep stairs lead directly into bedroom 1, with bedroom 2 accessed via bedroom 1. Bedroom 1: Double bed, bedside table and lamp, built-in wardrobe and chest of drawers. Bedroom 2: Twin beds, chest of drawers. There is off street parking for 2 cars. At the front of the cottage is a west facing garden which is mainly lawned and has a paved area with outside furniture. This garden is bordered by a brick wall on one side, hedge on the other and by a picket fence from the parking area. It is enclosed but the hedge side is not dog proof.